Many tourists arriving in Surigao del Norte immediately hightail Surigao city for the swells of Siargao and the lagoons of Bucas Grande, missing out a local favorite - the more accessible Pebble Beach. 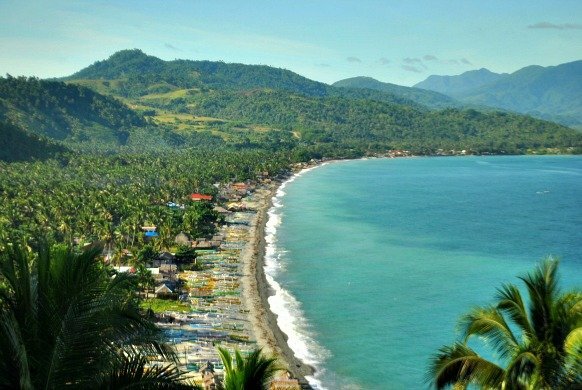 Situated around 30 minutes away from Surigao city’s commercial hub, the craggy coastline of Brgy. Mabua is divided into two sides by the mountain plummeting into the sun-sparkled sea. At the end of the road visitors will find Mt.Baragabon Resort overlooking the blue sea while humble nipa cottages stand shoulder to shoulder by the shore. 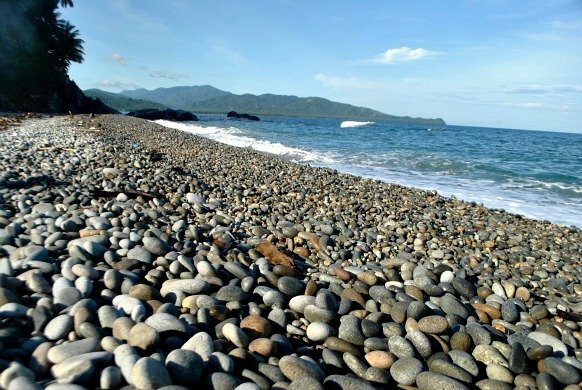 Unlike the usual sandy beaches in the country, Mabua Pebble Beach as the name implies is uniquely dotted with smooth stones. The pebbles at the beach front of the resort are quite large compared to the ones dominating the shoreline on the other side of the mountain. Follow the Mabua-Looc Concrete Mountain Trail and be rewarded by a scenic trek. The marker along the mountainside track indicates that the beach on the other side is already a part of Sitio Looc in Brgy. Punta Bilar. Marvel at the pure azure waves smashing against the coast and striking rock formations here. The shoreline of Looc beach also abounds with pebbles eccentrically designed by nature. Not to miss when heading to this destination is Surigao’s native delicacy called sayongsong. 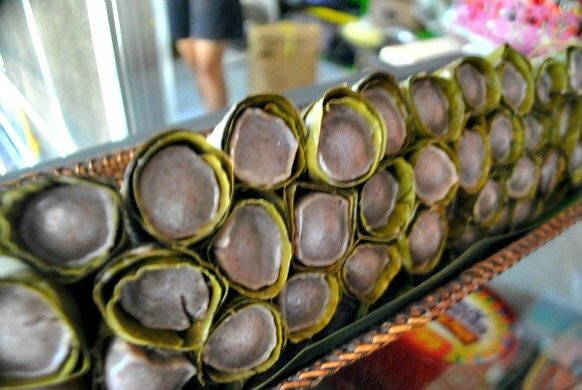 There are two stores in Brgy.Ipil that sells this soft and sweet indigo-colored treat. Sayongsong is made of cooked glutinous rice blended with coco milk, sugar and milk and wrapped in cone-shaped banana leaf. Aside from sayongsong, eating seafood is a must-try when you’re in Surigao city. Dine at Ocean Bounties Fresh and Frozen Food Restaurant that serves curacha, lobster, prawn and squid among others. But if you’re on a budget, rush to Surigao City Public Market for where fresh produce are cheaper. For dinner, try another local favorite – the roadside barbecue stalls at the pier, open from 5:00 PM to 12 midnight. Link exchange is nothing else except it is simply placing the other person's blog link on your page at suitable place and other person will also do similar in favor of you.